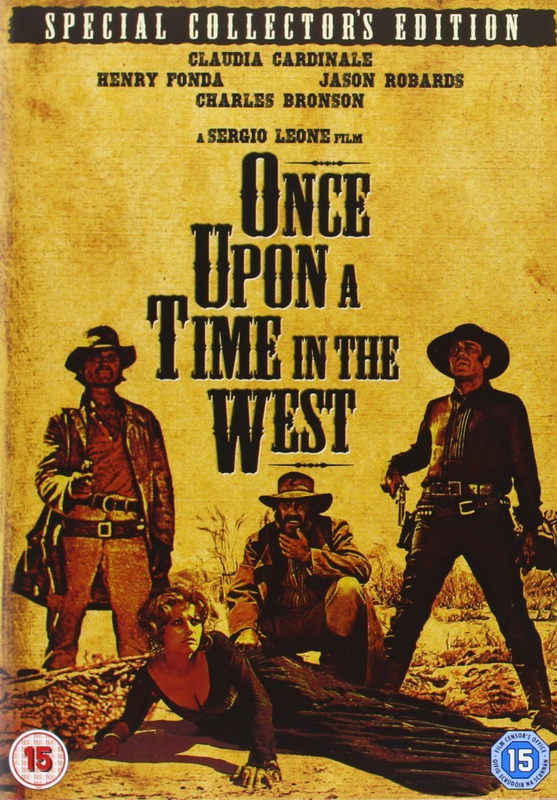 Sergio Leone's epic spaghetti Western starring Charles Bronson and Henry Fonda. Frank (Fonda) is a sadistic outlaw hired by a crippled railroad baron (Gabrielle Ferzetti) to murder a farmer named Brett McBain (Frank Wolff) and his family in order for his boss to inherit the land. When McBain's new wife Jill (Claudia Cardinale) arrives from Utah to find her family slaughtered, she vows to get revenge on the perpetrator, with the help of another outlaw named Cheyenne (Jason Robards) and a mysterious man known only as 'Harmonica' (Bronson). Sergio Leone's epic spaghetti Western starring Charles Bronson and Henry Fonda. Frank (Fonda) is a sadistic outlaw hired by a crippled railroad baron (Gabrielle Ferzetti) to murder a farmer named Brett McBain (Frank Wolff) and his family in order for his boss to inherit the land. When McBain's new wife Jill (Claudia Cardinale) arrives from Utah to find her family slaughtered, she vows to get revenge on the perpetrator, with the help of another outlaw named Cheyenne (Jason Robards) and a mysterious man known only as 'Harmonica' (Bronson).